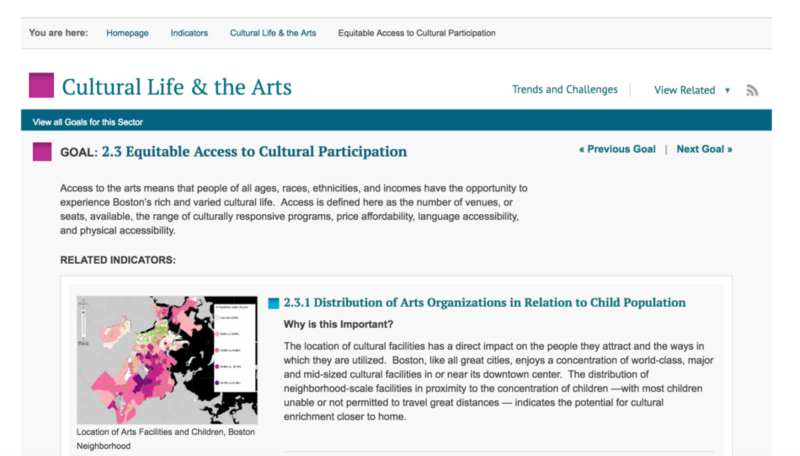 When I was a Research and Communications Associate at the Boston Foundation, I led the design of our data democratization website, bostonindicators.org. The site uses an open-source data visualization tool known as Weave, which allows user to complete their own visual data analyses and embed interactive graphics. The Boston Indicators Project offers new ways to understand Boston and its neighborhoods in a regional, national and global context. It aims to provide access to information, foster informed public discourse, track progress on shared civic goals, and report on change in 10 sectors: Civic Vitality, Cultural Life and the Arts, the Economy, Education, the Environment, Health, Housing, Public Safety, Technology, and Transportation. 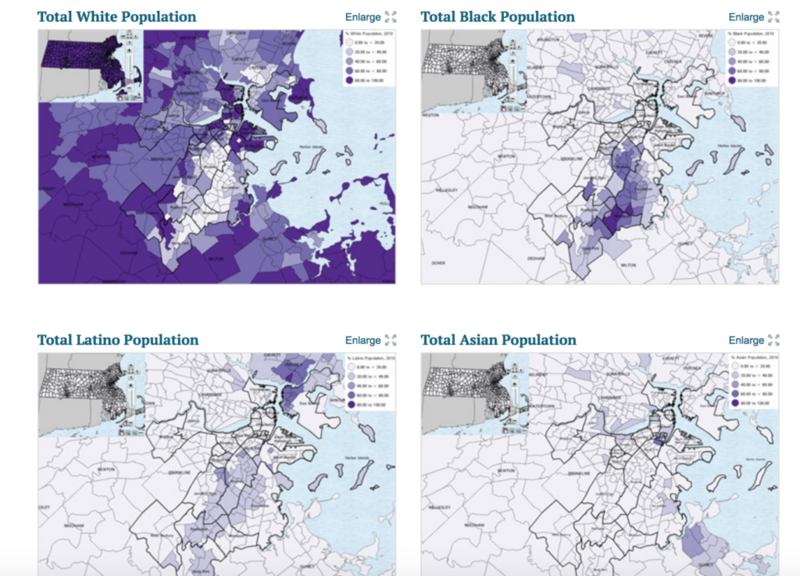 The visualization to the right shows racial/ethnic diversity by census tract in Boston. The visualization at the bottom shows the locations of arts facilities with respect to child population in the city.